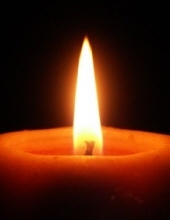 Joyce Elizabeth Hotchkiss, 93, of Woodbridge passed away on April 8, 2019 at Whitney Manor. She was born in Augusta, Maine on October 10, 1925, daughter of the late George and Mildred (Jordan) Faulkner. Joyce spent her early years in Winter Harbor, Maine and on Flanders Pond. For secondary education, the family moved to Ellsworth, Maine where she graduated from high school and then went to the University of Maine in Orono. She was a performer in summer stock theater in Camden, Maine for several seasons. After graduation, she went to Case Western Reserve University in Cleveland for a master’s degree. Eastern Airlines hired her in New York City where she met Alan Hotchkiss. They were soon married and started a family in Connecticut. When her three children became school age, she returned to school and earned her second master’s degree and became a school teacher in the Shelton Connecticut school system. After nearly 20 years of teaching, she retired to summers at Bantam Lake in Morris, CT and volunteered at the Ronald McDonald House in New Haven. When Alan became sick, she was a steadfast caregiver. She leaves behind a daughter Sara Hotchkiss of Waldoboro, Maine; a son Derek (Kerrigan) Hotchkiss of Woodbridge, and their daughters Katie (Ben) Cooley of Gainesville, Florida and their daughter Chloe, and Maggie Hotchkiss of Hamden; and a daughter Deborah Uva (Jeffrey Preble) of Gray, Maine and her children Matthew Uva (Leah Fairchild) of Orlando, Florida and Stacy (Eric) Milkowski of Bristol and their children Madelyn, Callen and Benjamin. In addition to her husband Alan, she was predeceased by her sister Nancy Faulkner, brothers George and James Faulkner, and son-in-law Thomas Uva. Funeral arrangements are private and entrusted to Beecher & Bennett Funeral Home, Hamden. In lieu of flowers, donations to the Ronald McDonald House of Connecticut, 860 Howard Avenue, New Haven, CT 06519 would be welcomed. To send flowers or a remembrance gift to the family of Joyce E. Hotchkiss, please visit our Tribute Store. "Email Address" would like to share the life celebration of Joyce E. Hotchkiss. Click on the "link" to go to share a favorite memory or leave a condolence message for the family.